Gone are the days when exploratory surgery was the only effective way for a physician to see inside the human body. Today physicians can use minimally invasive techniques, including a wide array of non-invasive diagnostic imaging methodologies. Each of the imaging techniques listed below has advantages that make it useful for different conditions and parts of the body. 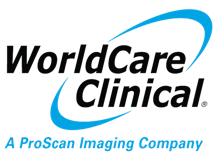 The ProScan Family of Companies offers a broad spectrum of these services to meet all of your patients’ advanced medical imaging needs. Our board-certified, fellowship-trained radiologists are ready with timely answers to your clinical questions, seven days a week. MRI uses magnetic field energy (not radiation) to provide an unparalleled two- or three-dimensional view inside the human body. MRI is the modality of choice for the diagnosis of many types of injuries and conditions because of its incredible ability to tailor the exam to a particular medical question. There are no known biological hazards to humans from being exposed to magnetic fields of the strength used in medical imaging today. MRI of the breast offers valuable information about many breast conditions that cannot be obtained by other imaging modalities, such as mammography or ultrasound. MRI of the breast is not a replacement for mammography or ultrasound imaging, but rather a supplemental tool for detecting and staging breast cancer and other breast abnormalities. For more information on Breast MRI, click here. Computerized axial tomography (CAT) scans take conventional X-ray imaging to a new level. Instead of finding the outlines of bones and organs, the CAT scan’s X-ray beam moves all around the patient, scanning from hundreds of different angles. The computer takes all this information to synthesize a three-dimensional image of the body. More often, physicians scan only a small section. Since they examine the body slice by slice, CAT scans are more comprehensive than conventional x-rays. This procedure differs from traditional methods of assessing heart attack risk in two very important ways. First, unlike stress tests, CCTA can assess all degrees (mild, moderate, and severe) of coronary artery disease. Secondly, CCTA is highly accurate, with a negative predictive value of 99%. To put it simply, CCTA demonstrates the extent of disease in the vessel wall and can detect CAD much sooner than the stress test. For more information on CCTA and ProScan’s Heart Attack Prevention Institute (HAPI), click here for our physician brochure and click here for our Physician Guide White Paper. Also called “virtual colonoscopy,” this non-invasive alternative to conventional colonoscopy uses sophisticate software and a 64-slice scanner to create two- and three-dimensional images of the colon. A CTC is faster, easier, and more comfortable for the patient than a conventional colonoscopy. For more information on CTC at ProScan, click here. Ultrasound imaging uses ultrasonic waves to visualize an internal body structure. ProScan offers a full spectrum of diagnostic ultrasound services at certain locations — including vascular ultrasound studies, which allow for early detection and treatment of life-threatening vascular diseases including arterial occlusive disease, stroke, and deep vein thrombosis. These sophisticated tests are painless and can document the presence, location, and severity of vascular disease. While mammography remains the gold standard for widespread breast-cancer screening, magnetic resonance imaging (MRI) has emerged as essential in staging cancers, planning treatment, screening high-risk and younger patients, evaluating breast implants, and characterizing masses. Click here for in-depth information on ProScan’s highly regarded breast MRI services. An x-ray examination of the breasts that includes two views of each breast. This procedure is done when a patient shows NO sign of symptoms. The Screening Mammogram does not require a prescription unless the patient is less than forty (40) years of age. During the time of the examination, the patient does not meet with a radiologist or surgeon. An x-ray examination of the breast that includes two or more views of each breast. This procedure is done when a patient shows signs of symptoms such as a lump, change in breast contour, dimpling, bleeding, or discharge from the breast. A diagnostic mammogram does require a script from a referring physician who is able to follow the patient’s continued breast health. Additional mammography images or other imaging will also be performed. For more information about mammography, DEXA bone-density scans, and other women’s imaging procedures, please visit the official ProScan Pink Ribbon website at www.proscanwomen.org or click here. The ProScan Pink Ribbon Centers in Cincinnati are operated by the nonprofit Cris Collinsworth ProScan Fund and provide mammography, biopsy, cyst, needle localization, and ultrasound services. The Institute for 3D Imaging Technology at ProScan Imaging offers advanced visualization tools, compatible with a wide range of modalities, to ensure that each imaging examination is optimized. Once available only in large institutional settings, 3D applications are becoming an increasingly important part of everyday radiological practice because they offer the clinician greater accuracy, finer image resolution, and more definitive answers without the need for additional testing. For more information on 3D imaging, please click here.